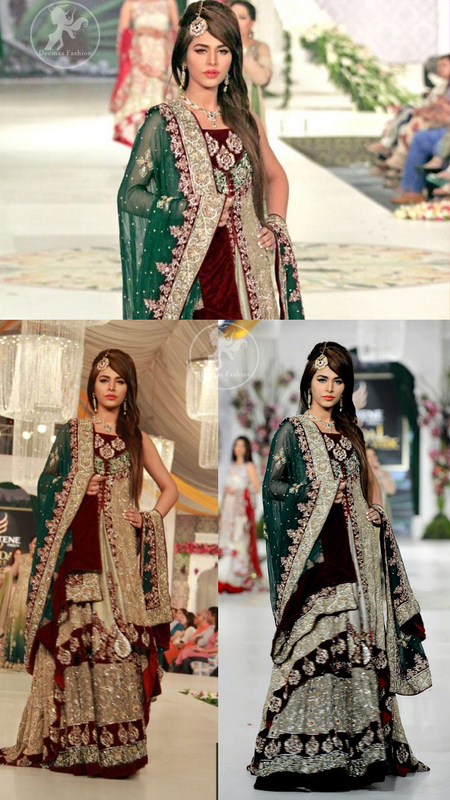 Tags: Back Trail, Bottle Green, Dark Maroon, Fawn, Front Open, Gown, Lehenga, Reception & First Day, Special Occasion. Front open back trail gown. Gown has been adorned with applique border on the center slit and hemline of the gown. Gown compliment with raw silk inner shirt. 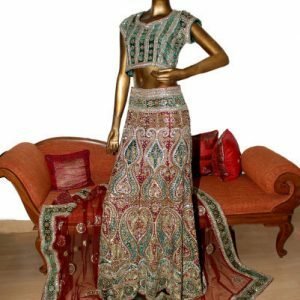 Lehenga is adorned beautifully with exquisite embellishments at the bottom of the lehenga. Applique work border implemented below the knee. 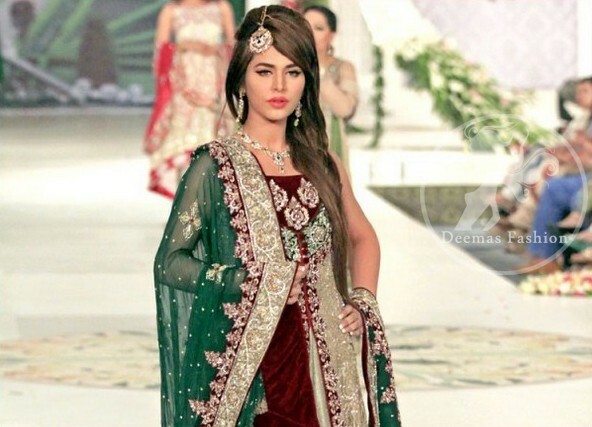 Bottle green dupatta having four sided embroidered border finished with maroon velvet. 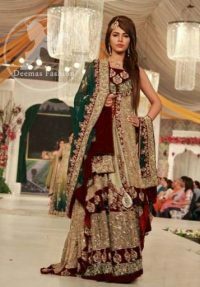 Small motif and pearl spray scattered all over the dupatta.